Back for the second part of my yearly wrap-up! 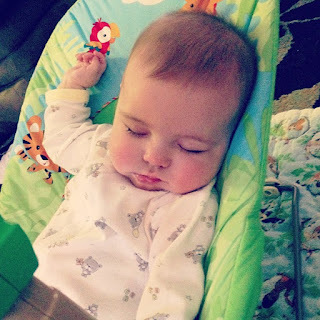 August was a rough month as we were dealing with a newborn and our sweet Eli's birthday. It's also so sad to see another year come and go and him not be here with us to celebrate. 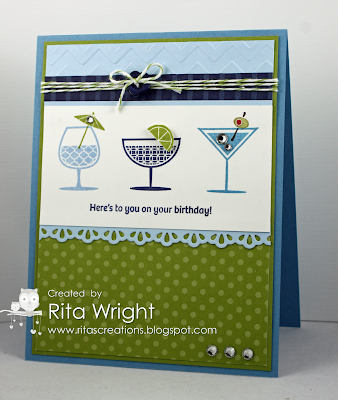 I didn't get a lot of stamping in and what I did make wasn't that great. 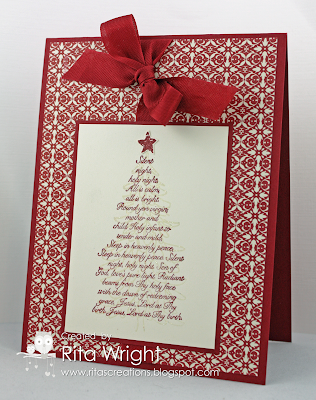 My favorite was probably this simple Christmas card that I designed. 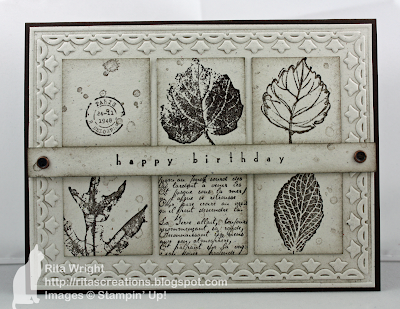 October ended up being the month of my greatest stamping accomplishment to date. 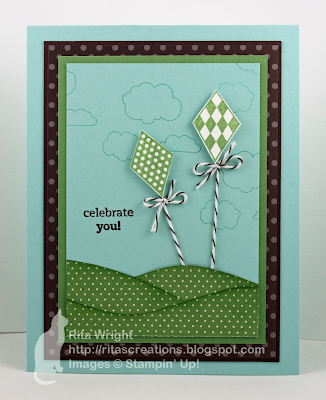 I was able to complete all the cards for the Hope You Can Cling To challenges hosted over on Splitcoaststampers. It was so much fun to make them all and send them to the MD Anderson Cancer Center which is located near me in Houston! I hope they find their way into the hands of some special patients and/or their families. I picked out a few favorites for this month since I made so many! Okay...moving on! That was a lot, sorry. I just really loved all those. 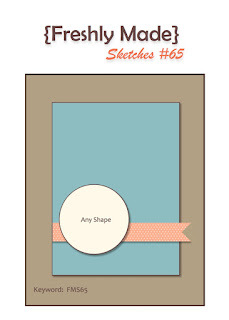 :) For November, I loved my card that I made for my sketch at Freshly Made Sketches. You just can't go wrong with the owl punch! 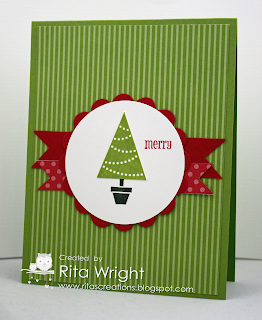 Finally for December, my favorite is a card I just made recently! 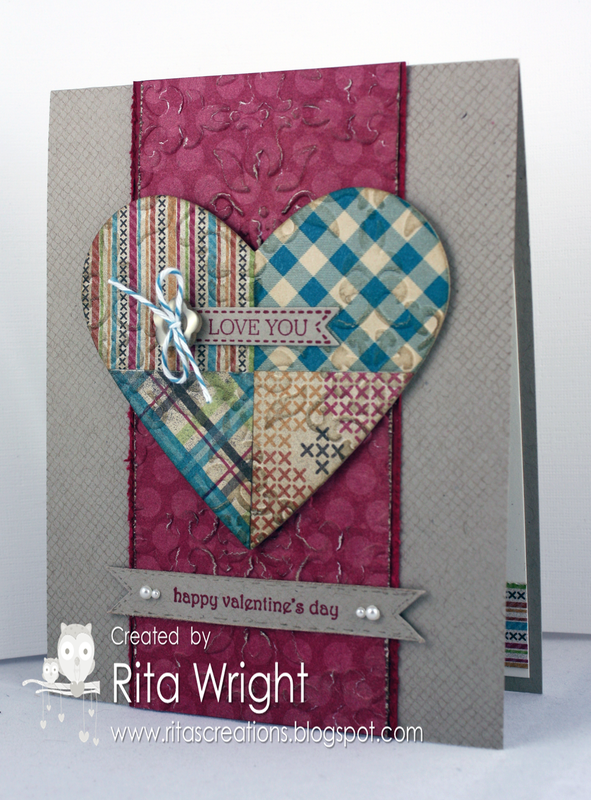 It's cold today, so a quilted Valentine seemed perfect again for me. Thanks to each and every one of your for making 2012 a great year for me. 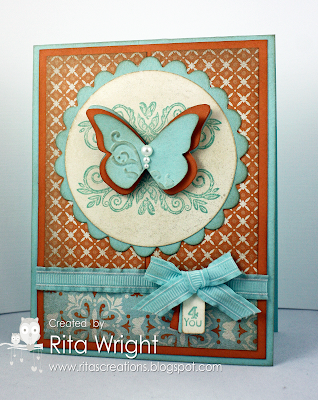 I look forward to stamping and sharing with you in 2013! Happy New Year! 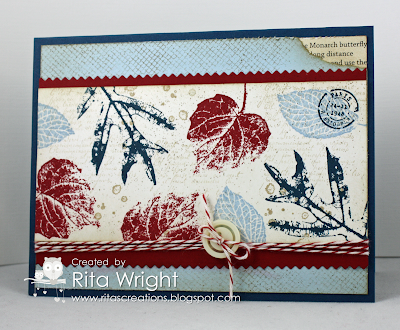 January was a tough stamping month for me and looking back I see that my mojo has totally not working! I did find one that I made towards the last of the month that I liked. It was a CASE of my dear friend Kathy. 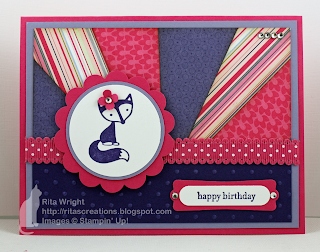 February was special for me because I entered this card in the So Shelli Creative Challenge and won a free stamp set of my choice! The rest of the month looks pretty bleak though. I guess I didn't realize how much pregnancy affected my creativity until I started looking back at my cards. Yikes! March was another lean month for good cards, but I did find one that I really liked. I really LOVE this stamp set and now that I've added both a cloud and a grass die to my collection, I really need to pull it out and play! It took me a bit to find a good one in April, but I LOVE this one. I miss Fox & Friends so much. It was really my favorite of all my sets. I still have it, but now that it is retired I don't find myself using it as much. The starburst technique is also a favorite of mine and I need to try my hand at it again soon! It's a good way to use up some DSP! Now May saw a good card month for me and it was a struggle to pick a favorite. 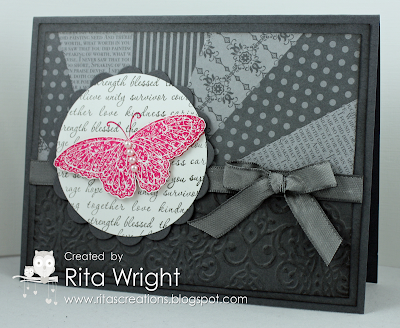 I finally decided on this one as it is one of my favorites that I've made in my stamping journey. While I was not a fan of Peach Parfait, I just love this card! I'll hope you'll join me again tomorrow to see the next 6 months of favorites! Told you I'd be back with a card! :) I started this one last week and it just sat on my desk in pieces. I started to just put it away, but I really wanted to try to work on it and finish it. It was for a sketch challenge at Retro Sketches (boy did I miss THAT deadline!). Anyway, I was inspired by Erin's quilted heart and wanted to make one for Valentine's Day. Someone loves their new pal Violet. :) She wasn't asleep in this one, but it looks like it. That's a pretty cool toy when you take the time to program it. It almost freaks me out when it says her name. 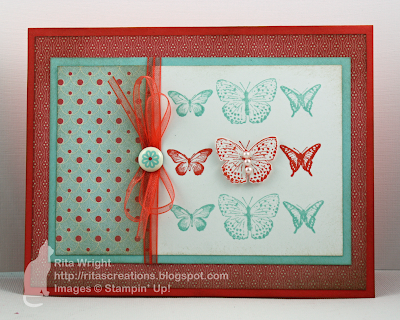 I'm going to try and stamp today, so hopefully (fingers crossed) I'll be back later with a card to share! I wanted to say a HUGE thank you to everyone who has sent emails, a card, or left a comment lately. I am way behind in responding and will try my best to get caught up, but wanted to say that I do appreciate the kind words and thoughts. 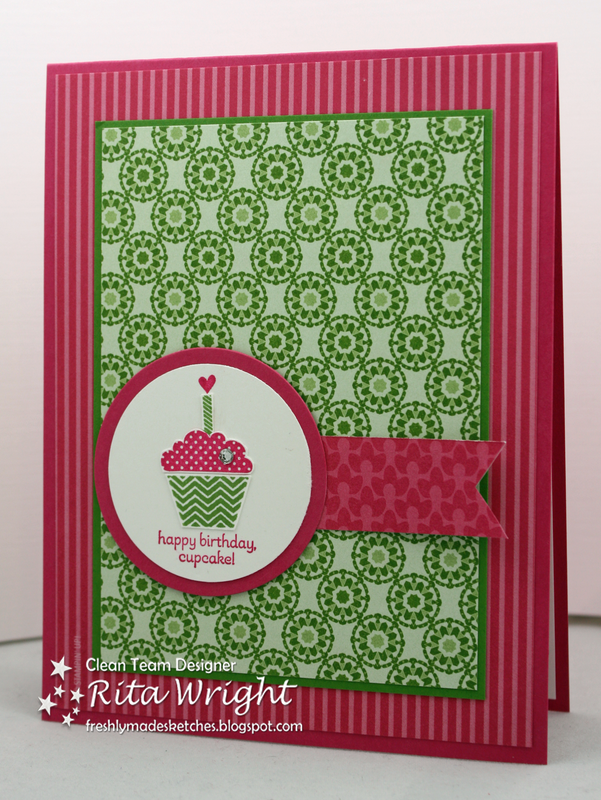 Many times I've thought about doing away with my blog but I keep "meeting" so many sweet stampers that it just never happens. I hope you all had a wonderful Christmas holiday. We did and I'll share a few pictures below. My Mom, Laila, and Me! Paper is WAY more exciting (and tastier) than the present. She did a pretty good job ripping off the paper. We were surprised and enjoyed watching her so much. This is one of my favorite pictures from the many that I took. That girl LOVES her daddy! Now before I go I wanted to ask if anyone might have an idea for a fundraiser. It has been a while since we raised some money for SMA and my heart feels like it is time to do it again. We did a cook book last time and I thought about that again or trying to do something with my cards. Anyway, I'd love any feedback or ideas. I just wanted to check in and say hello to all my readers and friends. It has been a pretty rough week and while I did manage to stamp, it was sympathy cards and I didn't feel like taking pictures and posting those. A family who has a son with SMA lives near us and last week the dad was tragically killed in a car accident. Little Cooper is in the hospital battling pneumonia as well, so it has been a hard week for the family. My heart is just broken for Crystal. Her Jason was the same age as mine and I honestly just don't know what I'd do without mine. 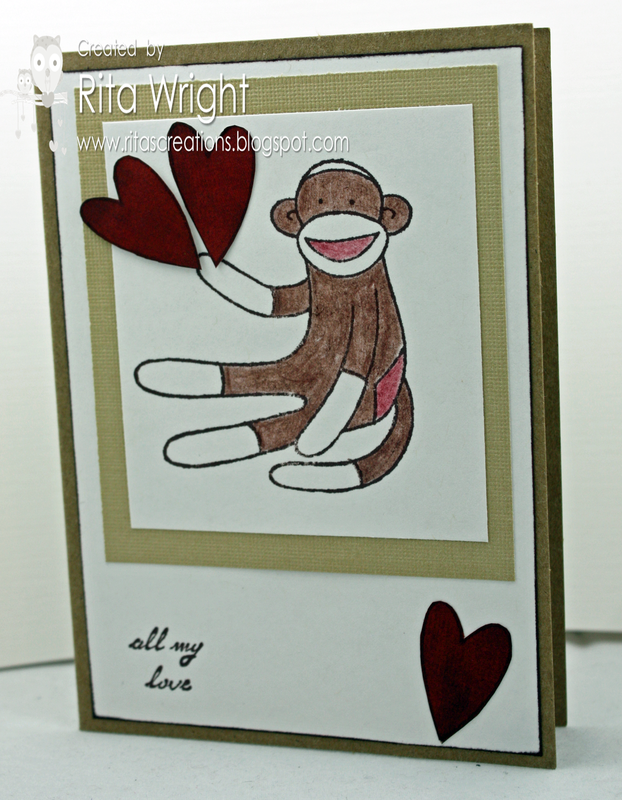 If you start seeing a lot of thinking of you cards on my blog, they are going to her. It's always good to get a little note to let you know that people are thinking about you. We did have an exciting event here at home. Laila finally got to try some real food! We started her off with avocado and she really seems to like it. If I don't get a chance to check back in before the holidays, I hope that each of you has a wonderful Christmas. Hug your family tight because you just never know what life has in store for us. When I saw the sketch I automatically thought Fun Flowers, but then I couldn't find my die. I couldn't come up with anything else since I had my mind set on a flower, so I grabbed my scallop circle punches and put this simple flower together instead. I wanted to add the banners, so I moved the sketch around to make that work. I hope Tui doesn't mind. 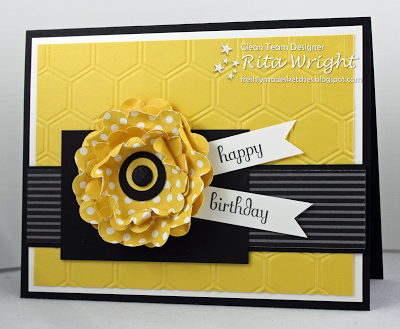 :) I did use a new product from the upcoming Spring catalog, the honeycomb embossing folder. It's pretty neat, huh? I like it a lot! Monday finally saw an end to her throwing up, but now my poor Jason isn't feeling well. He fell sick yesterday on his birthday. :( The good news is that my mom arrived yesterday to stay for two weeks, so it will be nice to have an extra set of hands around. I'm so happy that she made it down for Laila's first Christmas! I just hope we don't end up passing any of our sickness on to her. Club Card and a Funny! With Laila being sick, I'm running a bit behind on preparing for club. 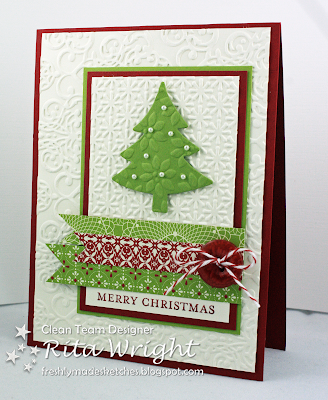 I finally designed a card to go along with our ornaments today and got it all ready to go. I'm not sure we'll have time to do both, but we'll see how the night goes. I saw a fun sketch at Create with Connie and Mary and while I wasn't able to stamp and enter it, I still had a great time with it. I'm pretty sure my Old Olive went into shock when I pulled it out to use it today. I remember back in the day when it was THE green to use. I think both it and Chocolate Chip are probably a bit depressed these days. Jason and I were cleaning out some drawers and found this "gorgeous" Valentine that I made him back when I first started stamping. It's very special that's for sure. I tried right? 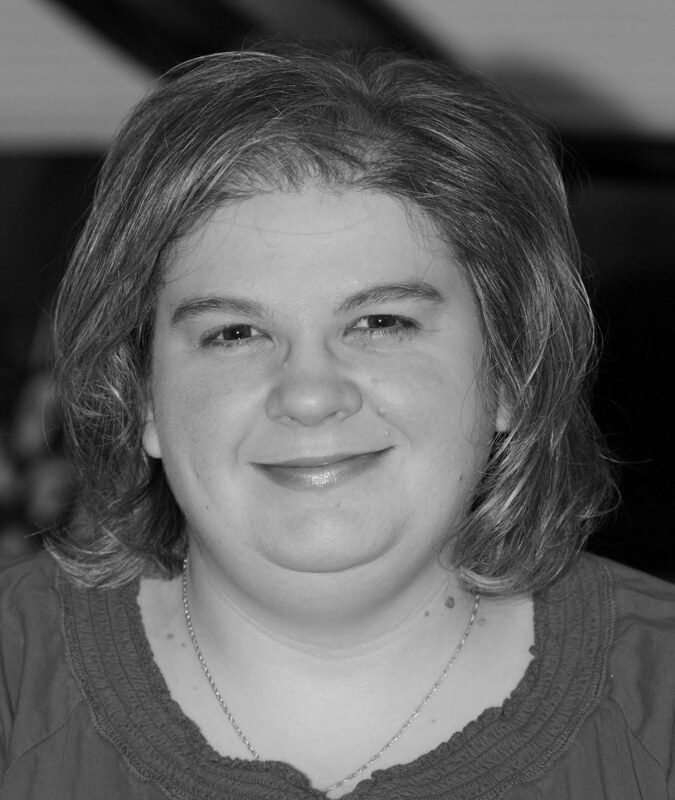 It's good to look back and see how far I've come with my hobby and how much using Stampin' Up! almost exclusively has helped as well. My sweet girl isn't throwing up today but she is pretty tired. 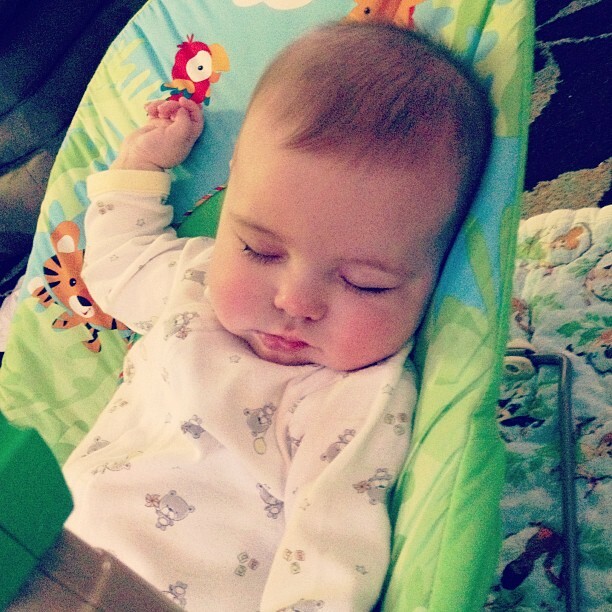 She fell asleep playing in her bouncy seat today. I think her tooth is starting to push through the gums a bit more so she has been pretty fussy today. I am not a fan of teething so far that's for sure. Here's my buddy Linda's fun sketch for Freshly Made Sketches. 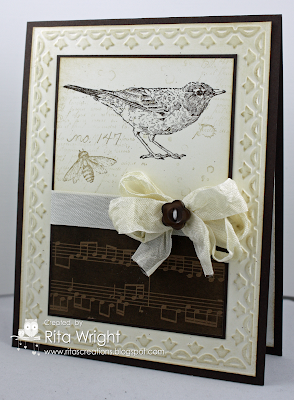 I used a few new things including a new DSP from the upcoming catalog and a stamp from SAB. Just a really quick post for me. Laila has been sick all day and we are exhausted. I almost forgot to type this up and schedule it before I tried to get a little rest. I'm sure it is going to be a long night. Those darn stomach viruses are the worst! Oh yeah...Valentine's Day!!!! :) I have been making Christmas cards since July and I think I'm done with them for this year. I hope anyway. I admit that I'm a bit of a Grinch this time of year anyway, but 5 or 6 months of Christmas cards is more than enough. Now if I can just finish my holiday shopping! Are you finished yet? I just have stocking stuffers left. Jason and I both have birthdays coming up, so I do have to go shop for a gift for that and the ingredients for a cheesecake since that's his favorite. It's getting so crazy out there that I don't even want to leave the house. I love Amazon and become more thankful for it every year. Yikes. 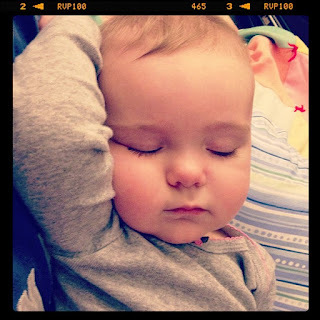 I can't believe we'll be starting solids soon! I keep telling her that Santa will be bringing her an avocado in her stocking. Jason put together her little highchair and we put her in it for a test run. It made me cry a bit. This is all new stuff to us and every little milestone is just amazing. Wow you guys!!!!!! I see that I went over the 200,000 views mark this week. That's crazy!! I appreciate you all visiting and seeing what's going on in my little corner of the internet. I have a few cards that I'd love to send out to a few of you, so leave me a comment and I'll pick a couple random folks to send one out to! Are you like me and have a favorite sketch that you go to a lot? 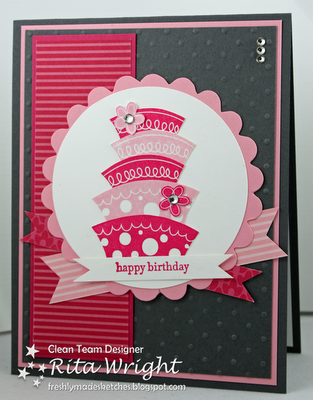 This one from Try Stampin' on Tuesday is quickly becoming my favorite. I was working on some ideas for club cards and wanted to do one where people could pick their sentiment. 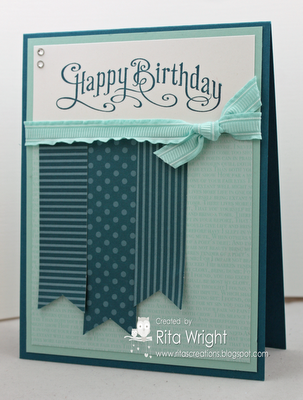 I like having a choice because some folks might need a birthday card while others need a thank you. Perfectly Penned will work for either of those AND this layout. Win, win! 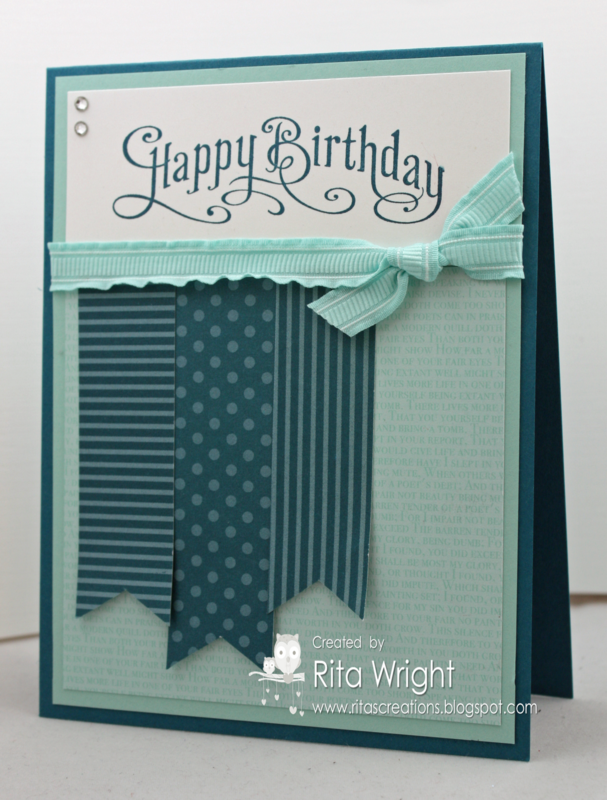 Thanks to Glenda for her gorgeous inspiration. Santa was going to put these cute leg warmers in Laila's stocking but he sorta dropped them off a bit early. :) She's really discovered her toes now so she LOVES grabbing them.